Falling in line with the company’s previous financial guidance report for Q2 2018, Samsung has today confirmed that its sales for the three-month period ending June 2018 totaled $52.28 billion, representing a year-on-year decline of roughly four percent. However, on a slightly more positive note, the company’s operating profit actually rose 6 percent versus last year to $13.28 billion. Breaking these figures down, the company notes that the increase in profit can be largely attributed to its semiconductor business, which once again performed strongly throughout the quarter. When it comes to the overall drop in revenue, though, the company has listed a number of factors such as weaker demand for the company’s flexible OLED displays and lower LCD panel prices. Perhaps the biggest contributing factor, though, was the drop in revenue registered by the company’s smartphone business. Overall, the mobile division saw sales of $21.44 billion and a profit of $2.38 billion during Q2 2018, down from the $26.81 and $3.62 billion registered respectively a year ago. 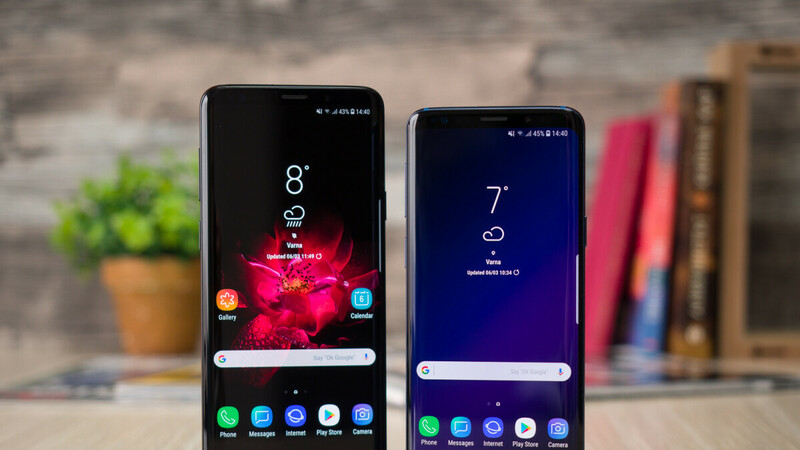 This rather large decrease was attributed to higher marketing costs, slow Galaxy S9 and S9+ sales, and intensifying competition in the overall market, although the company does expect things to improve in the second half of the year. Aiming to make the most of the higher smartphone demand that is being forecast, Samsung says it will seek to expand its sales by releasing the Galaxy Note 9 earlier than usual. Additionally, falling in line with recent reports, the company has confirmed that its mid-range models will begin adopting “advanced technology.” Also, on one final note, Samsung seemingly confirmed its plans to release a foldable smartphone soon by revealing that it would adopt new form factors in the future. Wrong , you are. See I am a note/Samsung fan in a Samsung article, you are not. Seriously? You had to invite him to this party?? What a buzz kill lol. Dark is not a troll. Global smartphone shipment is on decline right now (it's -3% on Q1, and probably more in Q2) That's why PA also write "Analyst says the number of iPhone units sold in a quarter is not as important as the Average Selling Price". Probably they also expecting iPhone sales to go down as well... But I think PA have their own agenda.. Note 9 launched next week and they write this kind of news, and when new iPhone near launch, they'll write the opposite, lol.. Your comment on the previous article didn't age well. " Oh right, my bad, lol... S9 and S9+ is top 2 in April 2018https://www.counterpointresearch.com/samsung-galaxy-s9-plus-becomes-bestselling-model-surpassing-iphone-x/ Just need June report then it will be Q2 :v " I must say you have taken the biggest L in the history of PhoneArena. Nahh. Banks still taking L’s from that whole “Apple insider” bulls**t he had going on. This is just mild embarrassment compared to that fiasco. It doesn't matter how radical phones are anymore. People are smart enough to holding on to their 2 years older phone to save their money. Almost everyone already have a phone in this world except for the poor. These poor people ends up buying them dirt cheap Chinese phones. Now you wonder why Apple are also starting to make cheaper phones. Even the poor have smartphones now and in the US all the tax payers pay for them. 20% decline in sales (34% in profits) from the mobile division sounds very bad to me. But there are other brands that are growing, so it means Samsung must be doing something wrong. I wish them all the best - I also wish Sony, Nokia, Huawei etc (even apple) the best, because the competition is the one that drives innovation. It sounds bad but it's similar to 2015 and it's partly due to the fact they held back on the S9 and left all the good stuff for their anniversary S10, of course combined with the saturation of the market. We'll see if there's a slight recovery next year with the S10. I'm sure Samsung is going to be ok - we're talking about a single quarter - but 20% drop in sales is way more than a deviation. If this "deviation" (I'll call it that for the sake of arguing) is only temporary, when we look at sales (no of flagship Galaxy devices) we also see a steady decline (with the exception of 7th generation, which peaked because of Note's battery issue); it's true that on the other hand Note sales took off, but it's also true that, with the increase of the average display size, Samsung has a new issue: why push both S+ and Note? Anyway, those are questions for Samsung to answer itself, we are just enjoying the race. Next year for Samsung smartphone business will be biggest drop so far, i see all the time less and less people buying Samsung phones, Samsung fans trying to make excuses like people stopped buying new phones or they are waiting S10 etc. No, people haven't stopped buying new phones, people buy phones all the time, less people just choose Samsung these days (because of the price), especially in high end part. 6% growth in profit is nice. Off course they sold fewer phones, because people nowadays hold on to their phones a couple of years longer. That’s why Apple is investing so much in their chips and software support because they know that you will have an iphone for at least for 3-5 years. And we can’t have a redesign every year because people feel cheated when you buy a smartphone and then in a couple of months it’s obsolete. I don't think the s9 needed 6gb of ram but I agree Samsung should have put the dual camera on the s9.